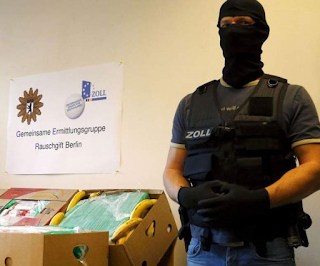 Cops in Hamburg have seized over a ton of cocaine and arrested eight following an investigation that lasted several months. Officers followed a truck they suspected was being used to transport drugs to a Hamburg haulage company. By the time special forces arrived, five men had unloaded over a ton of cocaine in 1-kilo packets. The five — three Germans, an Italian and a Pole — were arrested. So were three others including a senior member of the Hell’s Angels. 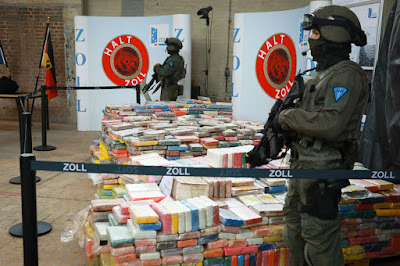 Police also seized 170,000 euros ($194,000) in cash.